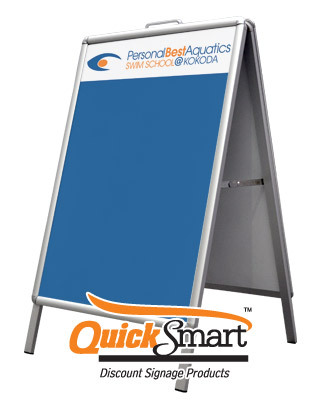 Street sign products and portable sign systems for shop owners. 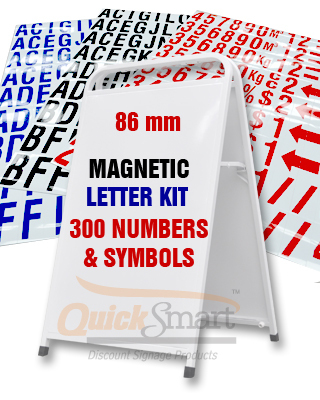 All our street level footpath sidewalk sign boards include a metal back so you can also use magnetic letters. Lightweight and sturdy exclusive design cafe banner barrier systems and area dining fences are manufactured with 'smart tensioning'. Popular amongst cafe's in Melbourne, it's easy to put new fresh looking graphic designs onto the new metal sign frame system compared to other systems. Each banner sign glides into position and the lower bar tensions the banner sign perfectly. Its a brilliant product well made and you can buy online & have delivered to your business, shop restaurant or event etc. Identifying your building signage is now requried by law. 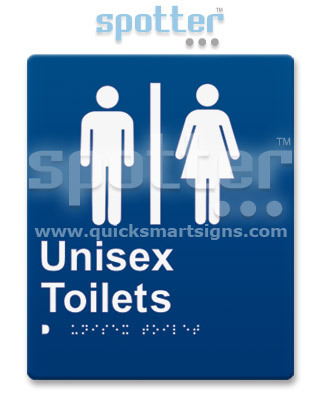 All the Spotter range of braille signs and identification building signage is guaranteed for 20 years. Exclusive to QuickSmart these signs are top quality and give builders and owners worry free compliance. Since 1993, we have created many unique, colourful and distinctive building and commercial outdoor signs and indoor signage products for clients advertising in Melbourne and marketing around Australia. The new online sign shop includes magnetic letters, sidewalk and street products, blow up flapping fabric wind men, large led electronic signs banners stands and flags. Delivered to Melbourne or Sydney, Brisbane or any location is a breeze. With over 20 transport accounts, we can ship your orders super fast. Melbourne signs banners and printing services for all Melbourne Victoria and Australia. 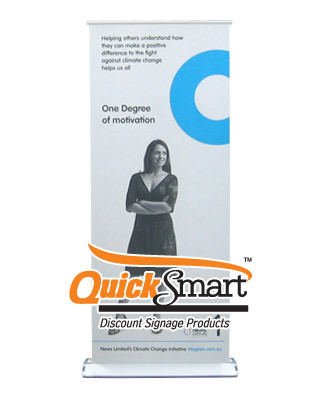 Banner Stands and Displays are top quality and all banner stand units are well made original design. Our 3 famous systems are being used across Australia by large companies and other sign companies, we supply finished printing on a special material that gives high resolution results and can be used for television TV interviews, backdrops, office signs and more. Over 1500 made and printed in Australia. 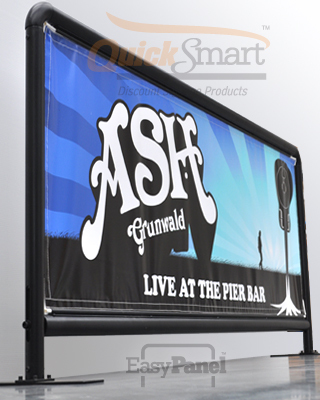 Banner Stands and Melbourne sign printing that is made and expertly put together in Australia. We supply direct to your door anywhere fast. There are lots of signwriting in Melbourne products available here.